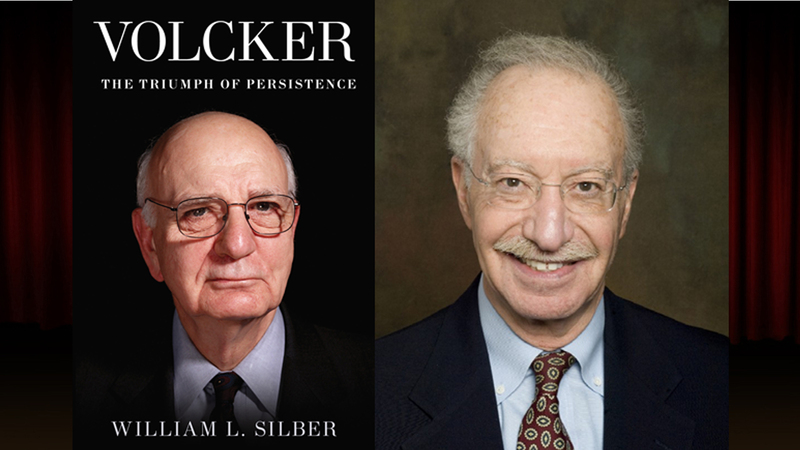 Jeff Glor talks to William Silber about "Volcker: The Triumph of Persistence"
William Silber: I wish I could say it was a labor of love. It wasn't. I wrote this book because I felt a sense of responsibility. During my classroom teaching to about 300 30-year old MBAs between 2000 and 2005 I gave a lecture on central banking and would ask my students: How many of you have heard of Alan Greenspan? Just about everyone raised their hands. I then asked how many of you know who preceded Greenspan as chairman of the Federal Reserve System? Just about everyone but a few stalwarts put their hands down. I felt a responsibility to my students to explain who Paul Volcker was and why every central banker since is in his debt. It is almost like Mrs. Anna in Rodgers and Hammerstein's the King and I who sang -- "By your pupils you'll be taught - which is true except I'll add -- by what they know and by what they don't know. Reserve System, America's central bank, began the process of reining in the deficit. Volcker promoted the goal of fiscal integrity that Ronald Reagan had promised to the American people, turning Reagan into Reagan. WS: I am, in fact, a teacher who also writes about finance and economics in a conversational style, so that everyone interested in those subjects can understand. I have found that humor helps my teaching and my writing. I would, therefore, like to be a successful stand-up comic to help achieve my goals. WS: Ever since "Pillars of the Earth," with its strong female main character, Ken Follett is my favorite author. I am on Book Two of his recent trilogy. WS: Another biography -- but of someone less virtuous. William L. Silber talks about former chairman of the Federal Reserve Board Paul Volcker and where he falls on the spectrum between radical and conservative. William L. Silber, talks about recession, economic recovery, and inflation, and what Ben Bernanke -- the current chairman of the Federal Reserve Board, could learn from Volcker. For more on "Volcker," visit the Bloomsbury Press website.